See these lovely lasses? This is a photograph that ran on the HD photo website Shorpy last week, featuring some chorines from a 1921 Broadway show. 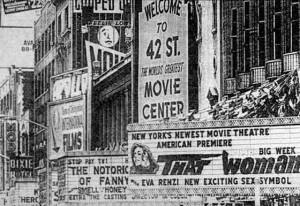 “The Broadway Whirl,” a lively revue knockoff, played the Times Square Theatre, a ‘legitimate’ stage at 217 West 42nd Street that was closed in the 1980s. 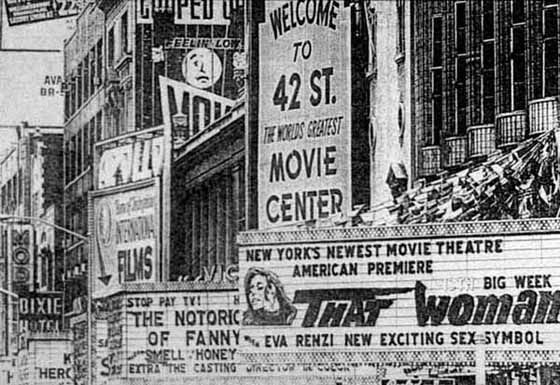 If you’re trying to place it today, it’s directly across the street from the garish 42nd Street McDonalds. As for the five damsels at top, it doesn’t appear that any of them really broke out of the chorus line. Shorpy’s has some interesting solo shots of a couple ladies.